The U.S. Department of Housing and Urban Development (HUD) seeks to create strong, sustainable, inclusive communities and quality affordable homes. As part of this effort, HUD works to strengthen the housing market to bolster the economy and protect consumers; meet the need for quality affordable rental homes; utilize housing as a platform for improving quality of life; and build inclusive and sustainable communities free from discrimination. Of HUD’s many departments and divisions, several offer programs and resources of interest to runaway and homeless youth service providers. These include the HUD Exchange and HUD User, the research information service sponsored by the Office of Policy Development and Research (PD&R). HUD has remained committed to serving runaway and homeless youth. The Department is dedicated to addressing youth homelessness and ensuring that communities across the country have access to affordable and stable housing, as exemplified in HUD’s Commitment to Serving Homeless and Housing-Unstable Youth and Families. HUD is part of the U.S. Interagency Council on Homelessness, an independent federal agency within the U.S. executive branch that leads implementing the federal strategic plan to prevent and alleviate homelessness. The HUD Exchange is an online platform for providing program information, guidance, services, and tools to HUD's community partners, including state and local governments, nonprofit organizations, Continuums of Care (CoCs), Public Housing Authorities, tribes, and partners of these organizations. 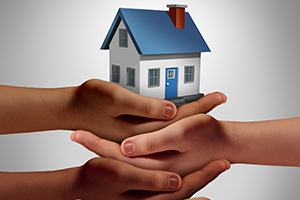 The HUD Exchange houses several resources on youth homelessness. HUD resources that may be of particular interest to runaway and homeless youth stakeholders are provided below. Raw data sets containing the annual Point-in-Time estimates of homelessness as well as national estimates of homelessness by state and estimates of chronic homelessness from 2007 to the present. These data are compiled into an annual report, the Annual Homeless Assessment Report to Congress. The Rapid Re-Housing for Youth Suite is a suite of tools and products on Rapid Re-Housing for Youth and includes a Jump Start Tool, a set of Frequently Asked Questions, and a Checklist. Ending Youth Homelessness: A Guidebook Series is designed for CoC stakeholders and practitioners to use directly and to engage essential local partners in efforts to prevent and alleviate youth homelessness. The Youth Homelessness Demonstration Program is an initiative designed to reduce the number of youth experiencing homelessness. Two pilot communities participated in the LGBTQ Youth Homelessness Prevention Initiative, which researched successful strategies to ensure that no young person is left without a home because of their sexual orientation or gender identity and expression. The Housing and Education Cross-Systems Collaboration provides resources and case studies about effective strategies for cross-systems collaboration among housing and service providers for the homeless and the education system. HUD’s Office of Policy Development and Research (PD&R) supports the Department's efforts to help create cohesive, economically healthy communities. PD&R oversees HUD User, an information source for housing and community development researchers, academics, policymakers, and the public. In addition to free downloads of more than 1,000 research publications and data sets, HUD User offers eBooks and periodical subscriptions, as well as a series of concise online Case Studies that describe how HUD stakeholders and partners are building stronger, more economically and socially diverse communities throughout America. As part of this endeavor, HUD User publishes several resources that may be of interest to the runaway and homeless youth community (provided below). The Evaluation of Rapid Re-Housing for Homeless Families Demonstration Program includes a process evaluation, focused on describing the rapid re-housing programs established by each of the 23 grantees, and an outcomes study, with the primary goal of measuring return to shelter for families served through the demonstration program. Housing for Youth Aging Out of Foster Care explores and documents the range of housing settings available to youth who age out of foster care; conducts an in-depth review of communities who are utilizing Family Unification Program vouchers to serve youth aging out of foster care; identifies opportunities to mitigate the risk of homelessness for youth as they transition out of the foster care system; and suggests directions for future research and evaluation efforts related to housing for youth aging out of foster care. The Office of Community Planning and Development seeks to develop viable communities by promoting integrated approaches that provide decent housing, a suitable living environment, and expand economic opportunities for low and moderate-income persons. The primary means toward this end is the development of partnerships among all levels of government and the private sector, including for-profit and nonprofit organizations. The CoC Program is HUD’s largest and broadest targeted program to serve homeless men, women, and children. Funds for the CoC Program are awarded through a national competition. The Office of Public and Indian Housing (PIH) ensures safe, decent, and affordable housing, creates opportunities for residents' self-sufficiency and economic independence, and assures the fiscal integrity of all program participants. Within PIH, the Office of Native American Programs (ONAP) administers housing and community development programs that benefit American Indian and Alaska Native tribal governments, tribal members, the Department of Hawaiian Home Lands, Native Hawaiians, and other Native American organizations. ONAP’s positive impacts include increasing the supply of safe, decent, and affordable housing for Native American families; providing fair and ample credit opportunities for Native American homebuyers; and supporting healthier economies and better employment opportunities.